1.27-acre buildable parcel on S. 9th Street between Stadium Drive and West N Avenue in Oshtemo Township. 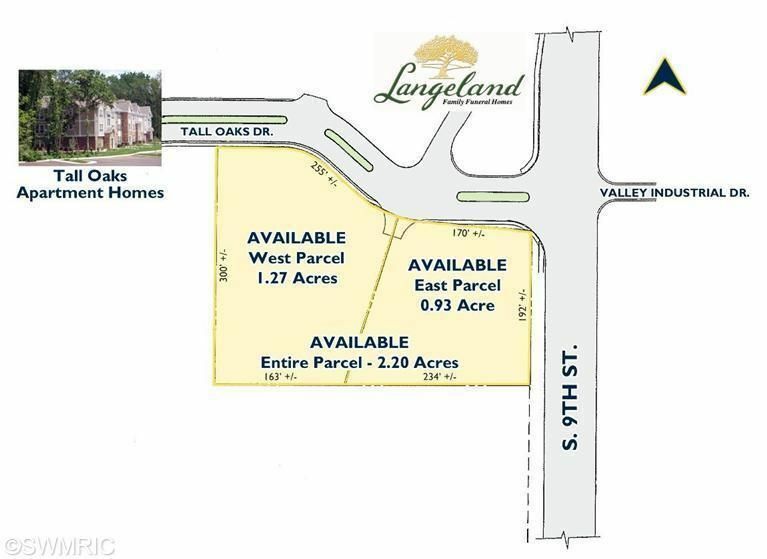 Located at the southwest corner of the entrance drive to Tall Oaks Apartment Homes, this site is situated on a growing commercial corridor that lies just north of I-94 and Kalamazoo Valley Community College. Parcel access is off of Tall Oaks Drive. Utilities are available at the street. Entire 2.20-acre parcel is also available - see MLS# 14008896.